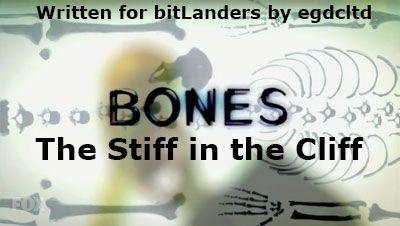 "The Stiff in the Cliff" is episode twenty of season eleven of Bones, the forensic drama television series loosely based on the novels and life of anthropologist Kathy Reichs. In this episode, the recovery of the remains of a dead billionaire results in Clark becoming a murder suspect. This episode starts at home and Brennan and Christine are watching television. Booth comes into the room and says he thought they agreed no television during Lent. Christine says it's okay because her mother says it's educational. It's an article about a frozen body that was recovered from a melting Alaskan ice floe. The remains are in the location where billionaire explorer Henry Charles disappeared 15 years ago whilst excavating a lost expedition, the Frank Party. 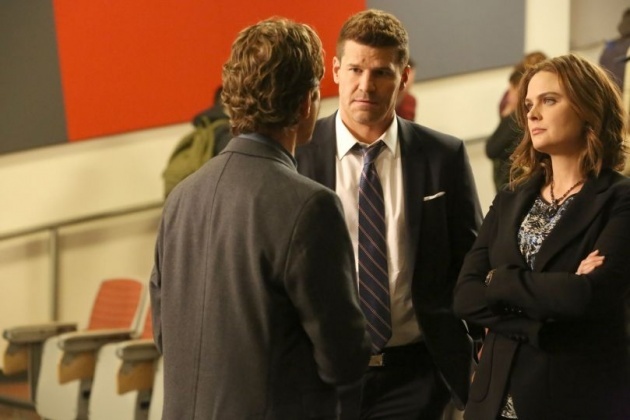 When the news starts talking about the Frank Party cannibalising each other, Booth decides that Christine has heard enough and turns off the television. Christine asks her mother what cannibalise means and Brennan tells her it's just when people eat each other. Which Booth didn't really want Christine to know. Christine wants to know what she should do about a friend at school who is being bullied. 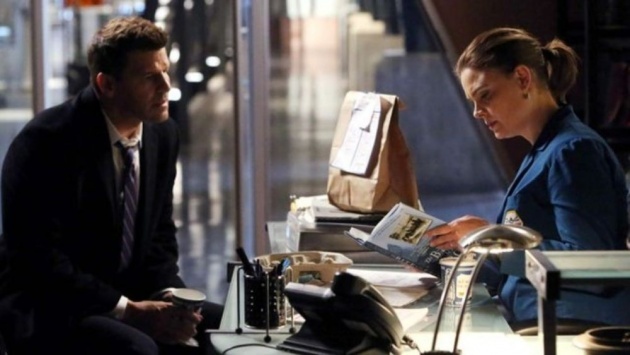 She wants to know if she can push the bully back but Booth says know and Brennan tells her daughter to only use words. And it turns out that later Christine knows some big words. Brennan then gets a message saying that she has been chosen to identify the remains found on the news. She gets rather excited by this. At the Jeffersonian, Cam is telling Angela that Cam's sister Francine has come to help arrange Cam's wedding, Cam having agreed to marry Arastoo in "The Movie in the Making". Angela says that last time she heard, the sisters weren't on speaking terms, but Cam says that it's her wedding and Francine may be a bully but she's also her sister. When the casket containing the remains is opened there is still a face, so a facial reconstruction won't be needed. Angela asks why the skin looks like fruit leather and then Clark turns up. He says that it's really him, Henry Charles. When Clark is asked if he knew Charles he says yes, he was on his final expedition. The one that he disappeared on. Clark says he was working as an intern for the archaeologist Dr Marcus Elridge and Brennan says that's quite impressive. It must be, for Brennan to say that. Brennan also comments that she doesn't recall seeing it on Clark's resume. Nor does Cam. Clark replies that he was just a 20 year old undergraduate and he basically did grunt work. 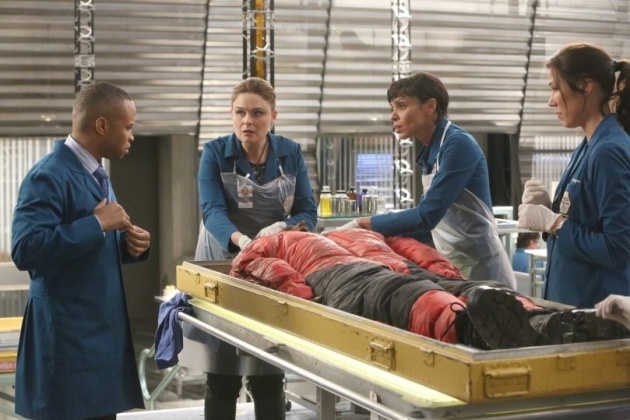 Hodgins comments that hypothermia is a relatively painless way to die but Brennan, who is examining the skull, says that it may be, but that's not how Charles died. There is sharp force trauma to the skull, showing he was murdered. There were only five people on the expedition, including Charles, and they were 100 miles from civilisation. 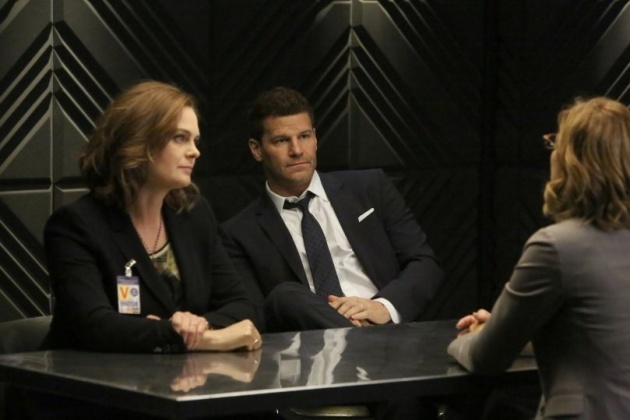 Brennan tells Clark that he needs to back away from the body, as he's now a suspect. The expedition's stuff, and the stuff found from the Frank Party, are now an exhibit at the Jeffersonian. Booth comments on the Frank Party eating each other like burgers. Aubrey responds that, much as he likes burgers, he draws the line at that. Booth replies that it's good to know there is a line. According to Hodgins, the injury was done with a pointed steel tool. All the expedition's equipment is in the exhibit, so it sounds easy enough. Except the expedition used a lot of pointy steel tools. Hodgins is hitting artificial skull devices with the various tools when Wendell Bray turns up. Hodgins is glad that Wendell was able to come in on short notice - Clark would have been assisting but, well, he's now a suspect. They think it's strange that Clark never talks about his time on the expedition. They do agree that Clark is definitely innocent; they just need to find the hard evidence to prove it. 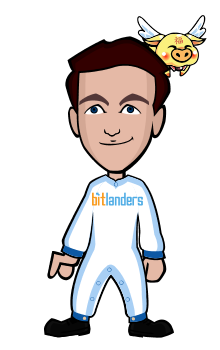 Clark, however, has retained a lawyer and been advised not to speak about the expedition. In fact, he starts being uncooperative to a degree that he starts to look guilty. Clark has his reasons, but are they good or bad? Or both? Charles' body appears to have fallen from a great height after his death, but the ice flow is pretty flat. However, Angela reconstructs it as it would have been 15 years ago and it was much larger. It also featured a crevasse that is probably where Charles' body was dumped. Another member of the expedition, Hazel Mitchell, was supposed to have been working in that area when Charles died. She says that Charles' 'outdoor guru' had closed the area to do some controlled blasting. Hazel says she was with Clark instead. When it's pointed out that Clark was on his sleep break, Hazel says she was with him - and they were definitely not sleeping. Which appears to be one secret Clark has been hiding. The outdoor guru, Declan Marshall, is brought in. It seems he had a fight with Charles, but Declan says his job was to try and stop Charles from killing himself. That Charles was an idiot who could hurt himself in a padded box. When a comment is made about leaving early in the helicopter, Declan says that he actually called the helicopter in a day early, and had the pilot hide it from Charles. Which means there was another suspect on the scene. Clark is not really doing himself any favours, but he trusts Brennan to prove his innocence. Cam is being ferried around by a very organised Francine to plan her wedding in a day. Cam doesn't look to be enjoying herself - it seems she wants a fancier wedding than Francine expected her to. And there's a rather odd scene where a brain is sliced using what looks like a standard deli meat slicer.